Can Sundial of the Infinite stop a Last Chance? What happens if I give my opponent Last Chance with my Bazaar Trader? Can Last Chance be Diverted to the opponent? What do you think about extra turn cards like Final Fortune , Last Chance , and Warrior's Oath ? XVicarious he’s in there dude! I picked up a foil one when they were a few bucks. There is a turn 1 win that I describe in the combo section, but I am yet to pull it off (I set it up to show others when they don’t believe it’s possible). I have given your deck an upvote. I am currently playtesting extra turn cards Last Chance and Final Fortune and am liking the results so far - with Treasonous Ogre , turns 2-3 wins become possible. SamsWrath thanks for your deck advice! Mox Opal is going in as soon as I have enough spare cash. At the moment it doesn’t benefit to remove Gauntlet of Power and Extraplanar Lens , but once I’ve included the artifact lands (for metalcraft) and some of the quick mana you have suggested, the benefits of those cards will be eroded sufficiently. I will be keeping the ramp spells you suggest in mind. I am currently testing extra turn cards Last Chance and Final Fortune , and once I have decided if to keep them I will move on to those. 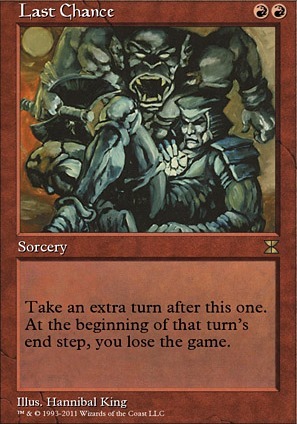 What’s your thoughts on Treasonous Ogre to pay life for ramp? I couldn’t warrant City of Traitors but Dwarven Ruins and Sandstone Needle are going in for sure. Crystal Vein I am going to pass on as I have never been left wanting more colourless as the deck has numerous ways of producing it. Helm of Awakening would not work in my meta, the benefits given to the other players make it far too risky. 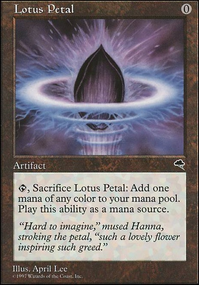 Given this is a mono-coloured deck Ruby Medallion does the trick. Torch Courier doesn’t give this deck enough benefit to earn a slot. I would typically play the haste card when I am all set to win. 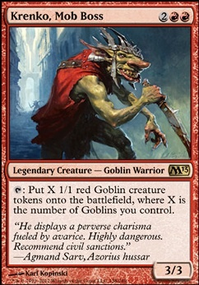 As this is targeted haste, the goblin army can’t swing out, requiring more pieces to win. Also, it doesn’t synergise with sacking Krenko back to the command zone and recasting with infinite mana. Some great suggestions dude, thank you! I think I would speed the deck up. You have a lot of control here, and if your meta needs it that’s fine, but cards like Stranglehold , Blood Moon and the like are all very slow. It’s basically skipping a turn to play them and hope that nobody deals with it, and they don’t actually advance you winning the game. Wheel of Fate is way too slow as well. 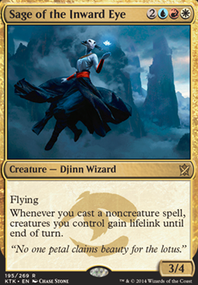 As a personal opinion, I also find cards like Extraplanar Lens very clunky and vulnerable, and they rarely speed the game up faster than a Gauntlet of Might . Power is a fine substitute although I think it’s probably too slow for what you’re doing. Sword of the Paruns is a slow combo piece that I probably wouldn’t run over the other options you’re already running. Goblin Bushwhacker , Goblin Ringleader , and Moggcatcher can be cut as well. 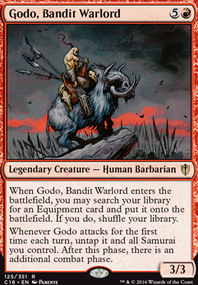 You don’t have enough gobos unless you recruit them and it’s not worth a slot in the deck for that synergy. Finding another card draw would be much better. Bushwhacker isn’t necessary; you just have more efficient ways of winning. I think even Boggart Shenanigans could be cut as it’s somewhat redundant and slows the deck down. If you find yourself going infinite pretty quick (which is the goal obviously) Apex of Power will get you there. It’s easy to cast (sometimes just with a ritual or hymn) and should finish the game for you. Aggravated Assault is pretty standard for Krenko combo as well. You already have most of the cheap rocks aside from Grim Monolith , so I’d probably add that one. Also Final Fortune and Last Chance are essentially Time Walk for a deck that really just wants another turn to finish the game. Anger is a better haste enabler than Ogre Battledriver and you can add Cathartic Reunion to give you another discard outlet. If this is a combo card, is it the most efficient one I can run? If it’s not, is it worth having the redundancy? I’m sure there’s something I missed but hopefully this is useful to you. You'll probably want as much Ramp as possible for this theme. Isochron Scepter is also a must. You'll probably also want to drop in Dramatic Reversal. 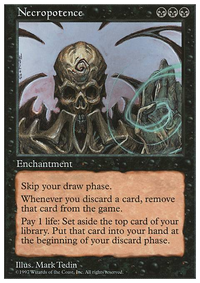 You can make copies of Isochron Scepter with a different imprinted spell on each copy by using Copy Artifact, Copy Enchantment (use it on Copy Artifact) and Sculpting Steel. Galvanoth is an interesting creature that could work with this deck. elpokitolama on Okaun Zndrsplt Flip a Coin! First of, thumbs up on your youtube channel: it's in my opinion some the best commander content available on the platform! The issue with these two is that once somebody has seen the deck win a single game, none of the one-eyed partners live to see two turns... Knowing this, I built my version based on pure chaos to virtually and politically protect them, with an artifact subtheme which allows me to have a nice tutoring package for Krak's Thumb (something you mentionned in your last video I think).